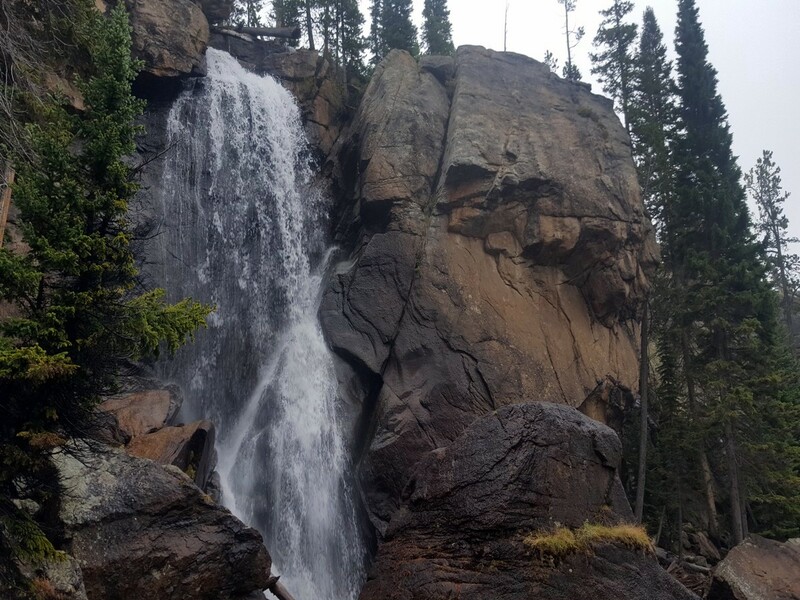 The Ouzel Falls hike is perfect for a relaxing, easier hike. 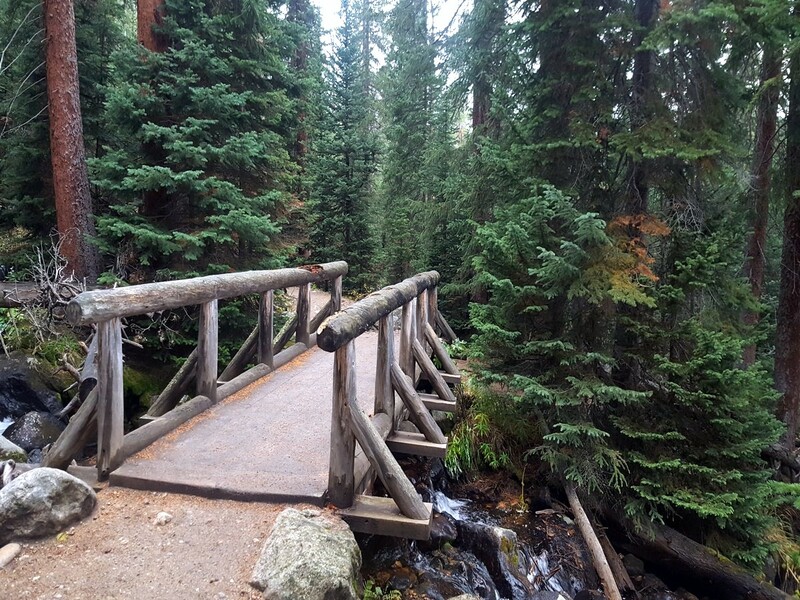 This is a great trail for families or simply a nice half day meandering through Rocky Mountain National Park. 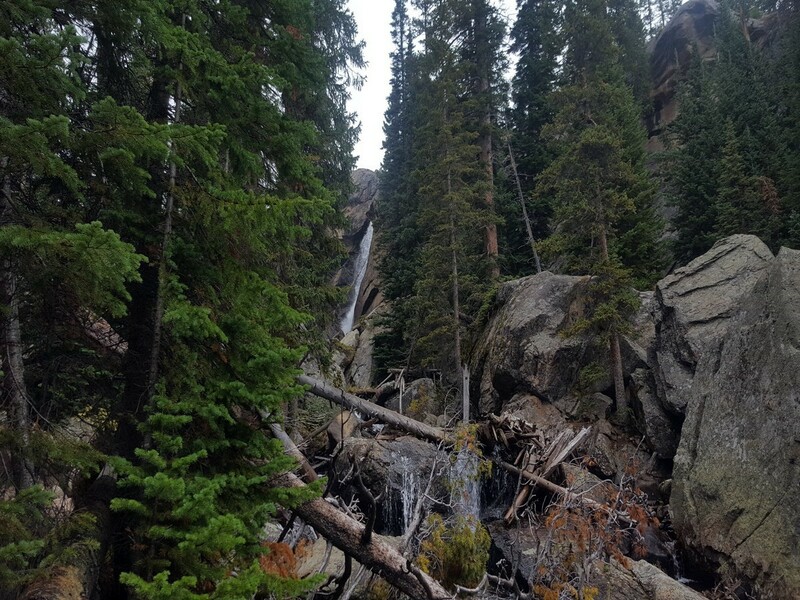 The trail to Ouzel Falls is a less travelled hike in RMNP, as you get not one, but three stunning waterfalls. From Estes Park, take Highway 7 south for 40.2km and turn right on to County Rd 84. From Lyons, turn left (south) onto 5th Ave., which turns into Highway 7. Follow it for about 32.2km where you’ll turn left (west) on County Rd 84 following the signs for the Wild Basin Area. On County Rd 84, the road will split. Stay right and follow signs for Rocky Mountain National Parking (County Road 115). You’ll pass the Fee Station, which isn’t always manned, but you still need to pay the park fees. From here, the road becomes a narrow, windy, rough dirt road for about 8.0km to the end the Wild Basin Trailhead.  Pine Ridge and Aspen Knoll campgrounds. 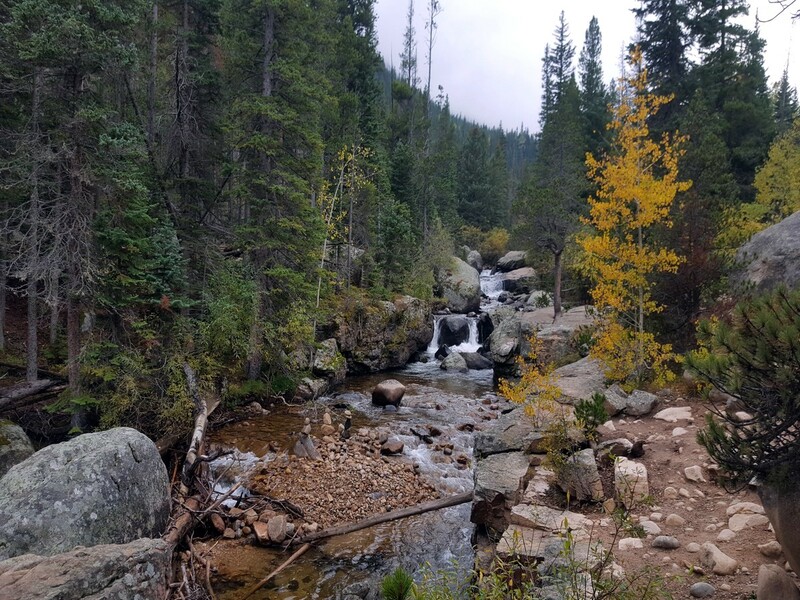 The Ouzel Falls trail is an easier hike that connects a lot of other great destinations within Rocky Mountain National Park. 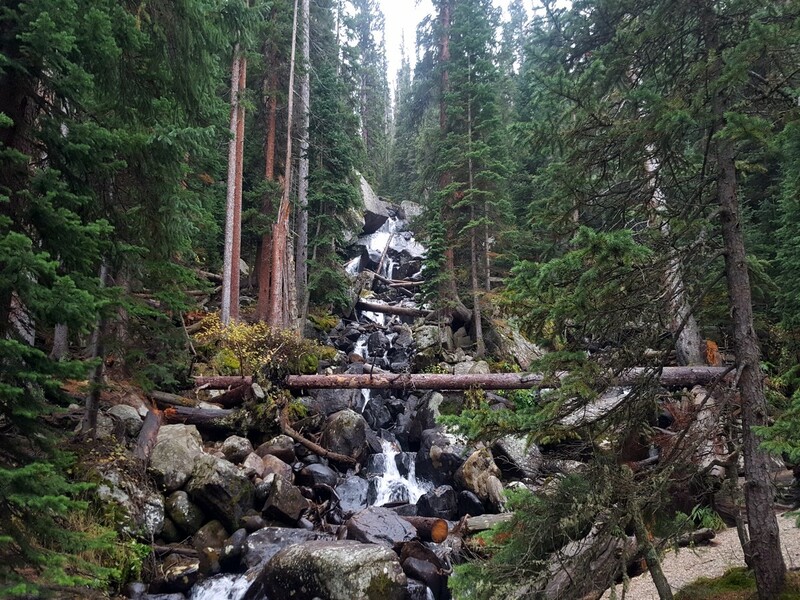 In this mere 8.0km, you’ll see three waterfalls as you hike through the aspen and pine trees on the wide path along the river. From the parking lot at the Wild Basin Trailhead, find the Wild Basin Trail Head sign and start across the bridge. The trail to Ouzel Falls is well marked with plenty of signs at every intersection. 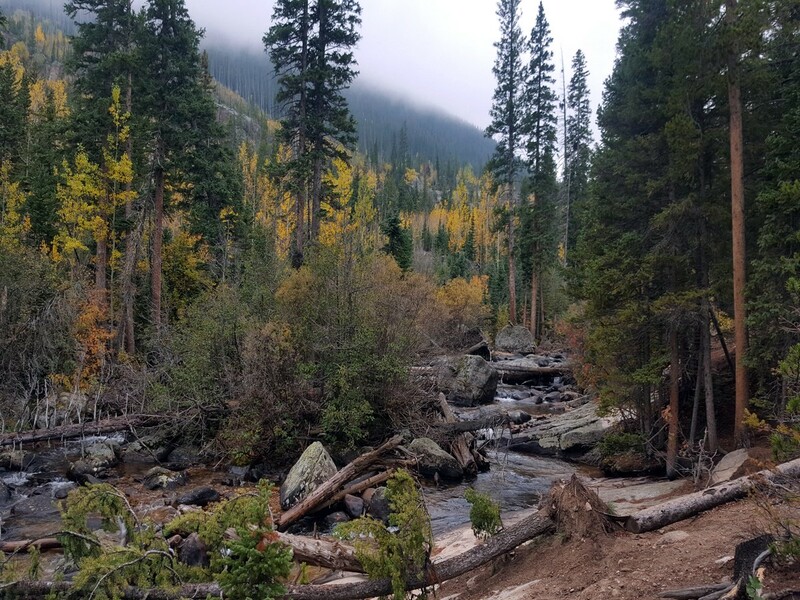 You’ll start out on a gradual incline surrounded by trees and parallel to the roaring North Saint Vrain Creek. About a 0.8km into the hike, you’ll see a sign pointing to the left to Copeland Falls. You can take this side trail that goes between the river and the main trail to see both the lower and upper Copeland Falls. Follow the signs for upper Copeland and the side trail will continue and connect right back to the main trail, taking a left turn to reconnect. At the first 1.6km, the trail will open into a clearing with views of the surrounding valley and hills. You’ll hike right over a large flat rock that is part of the trail and re-enter the woods. After 2.3km, keep right at the signs posts, following the signs and arrows to Ouzel Falls and over a bridge that presents cascading water over the river rocks. Your next trail intersection will lead you to Calypso Cascades. Turn right at this intersection, crossing the bridge. 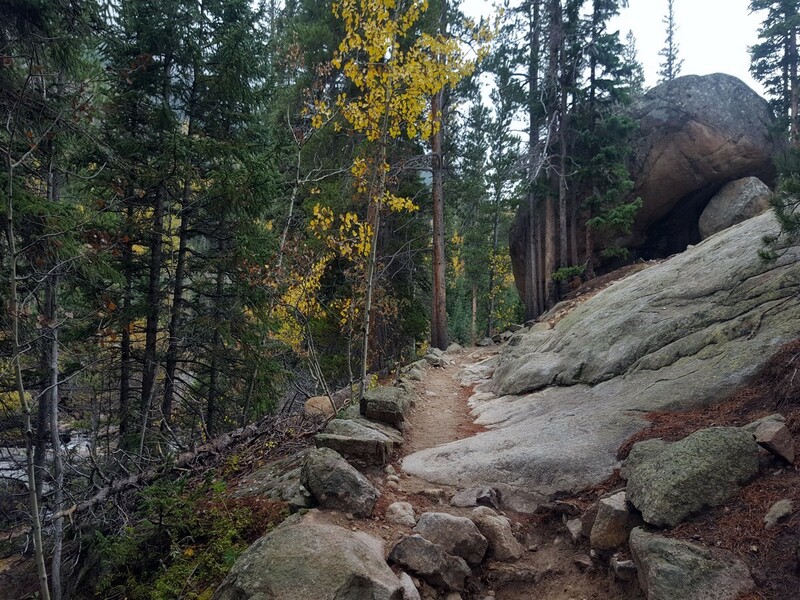 The left trail will take you to Pear and Finch lakes. Keep hiking for another 1.6km. The trail will roll up and down, but doesn’t get that challenging. 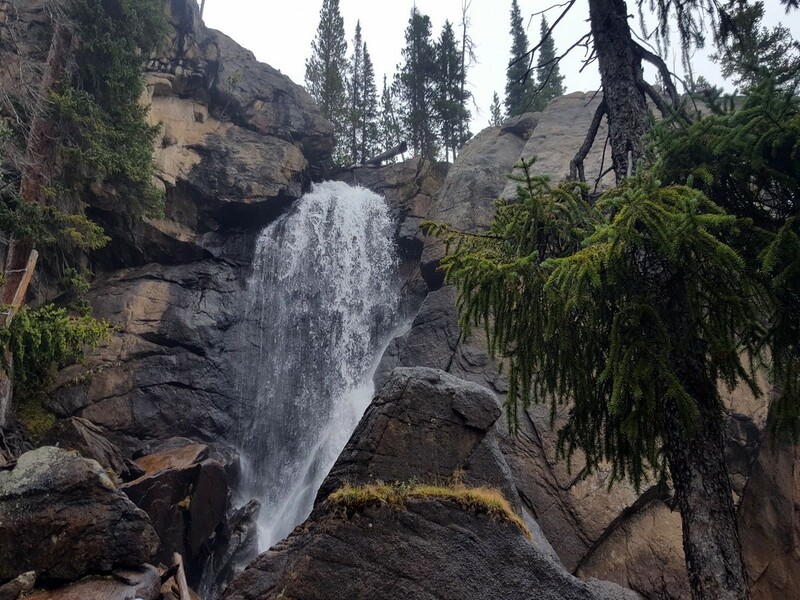 Once you’ve hiked for a total of 4.3km, you’ll see a small sign marked “Ouzel Falls” that points to the left, just before a bridge. From the bridge you can see a small glimpse of the falls, but take the left trail to get a closer view. At first, it doesn’t look like there is a trail to the falls, but look for the most beaten in path along side of the river and 200m up you’ll be right in front of the beautiful falls. After enjoying the views, to get back to the trailhead, retrace the way you came. 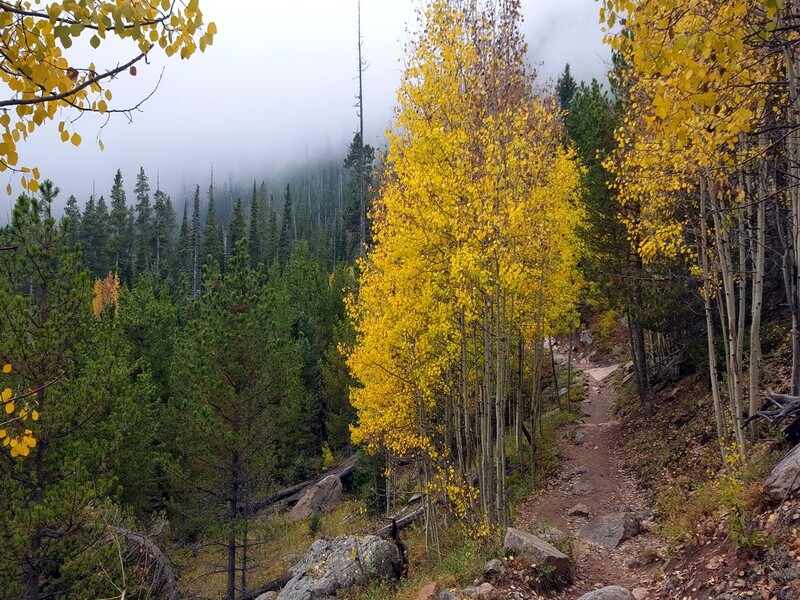 Hike in late September to see the leaves changing colors. 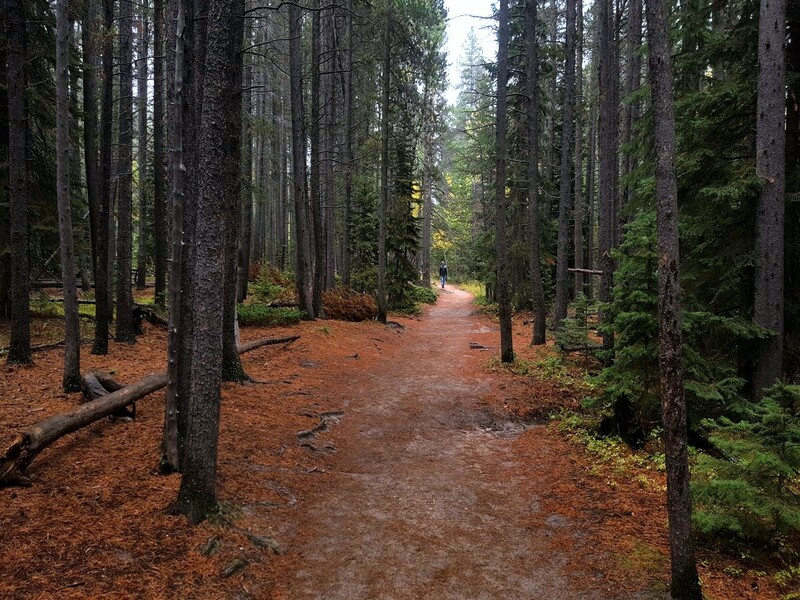 For a longer hike, try Bluebird Lake, or Finch and Pear Lakes.